Vanessa Nicolson was brought up in Florence and London, and graduated from Sussex University in Art History and Italian in 1979. She began her career at the Tate Gallery and has since worked as a feature writer, reviewer, curator and film programmer as well as an interviewer for the British Library Sound Archive ‘Artist’s Lives’ project, making recordings with artists such as Anthony Gormley. Her publications include The Sculpture of Maurice Lambert, Lund Humphries/Ashgate, 2002, commissioned by the Henry Moore Foundation. Vanessa developed Have You Been Good? over three years, first at creative writing courses at Sussex University and City Lit, then at a writers’ workshop in London. 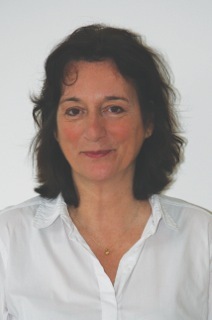 Vanessa is married to the journalist and writer Andrew Davidson and lives in Sissinghurst, Kent. Their daughter Ellie lives and works in London. I was looking for an agent and a friend connected me with a writer who was represented by Andrew Lownie and he thought we would get on. Andrew was very open to discussion and interested not only in my completed memoir but in future projects. Vanessa Nicolson’s interview with BBC Radio 4 ‘Midweek’ is now available online here. There was a terrific review of Vanessa Nicolson’s Have You Been Good? in last weekend’s Observer. The book is currently #4 in the Evening Standard bestseller list. 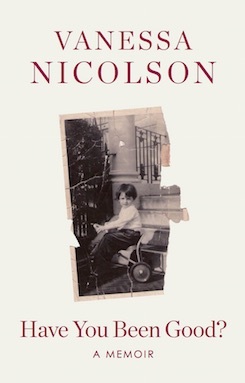 Vanessa Nicolson’s powerful family memoir Have You Been Good? was serialised this weekend in the Sunday Times.